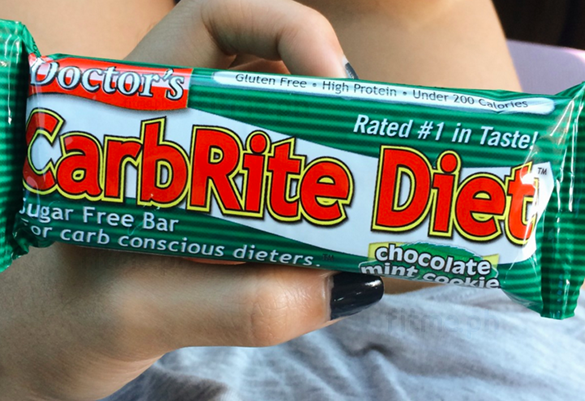 This was the first Doctor’s CarbRite Diet Protein Bar bar that I’ve tried, and I wasn’t disappointed. Of course I had the mint! 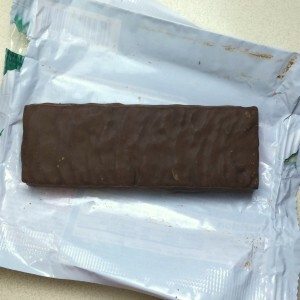 As soon as I took a bite, I knew it had become one of my top 3 protein bars, if not the best protein bar I’ve tried to date which is saying something because I’ve had a lot, and I also know my mint chocolate! There was a strong mint chocolate scent upon opening which was promising because a strong scent usually means a prominent flavor. The bar was well formed and kept its shape even in warm weather. 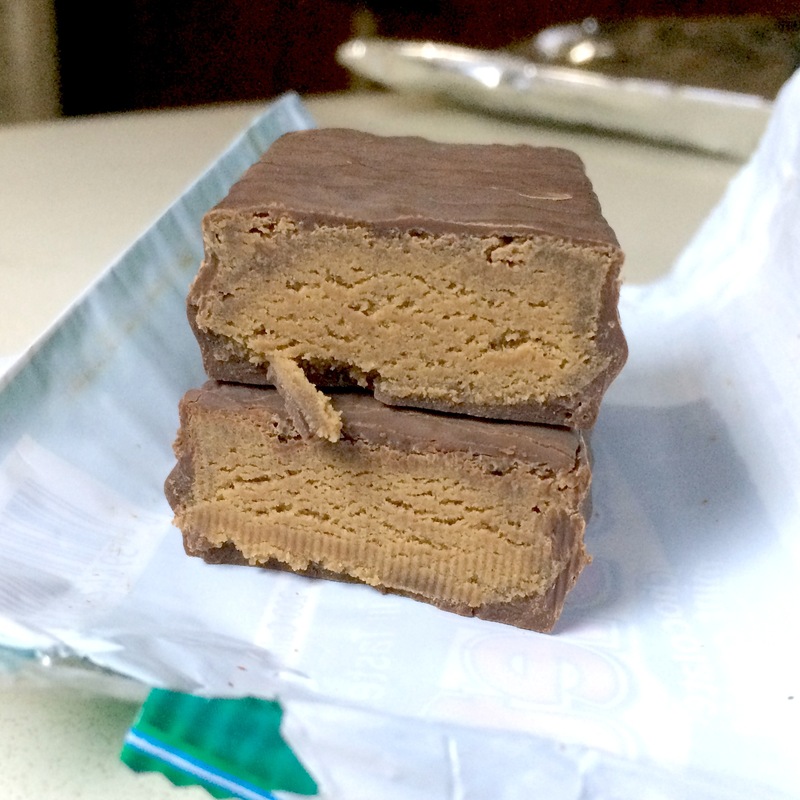 There is a thin chocolate coating and a soft, mousse-like filling. The best way I can describe it is a slightly denser Three Musketeers Bar. It’s so soft and isn’t chewy or hard at all. The bar is sugarfree and sweetened with sugar alcohols, but I would have liked it to be sweeter but the mint chocolate flavor was spot on even though I didn’t really taste the “cookie” part. I’m just being nitpicky though. I consumed it raw, but I don’t think it would have held up if i had microwaved it or broiled it as I would with a Quest Bar. It doesn’t have the same IMO texture and composition. I did chill my second bar (yup, I bought another one right away) and it came out like a chilled Three Musketeers bar: slightly firmer but the chocolate layer wasn’t hardened like a shell. 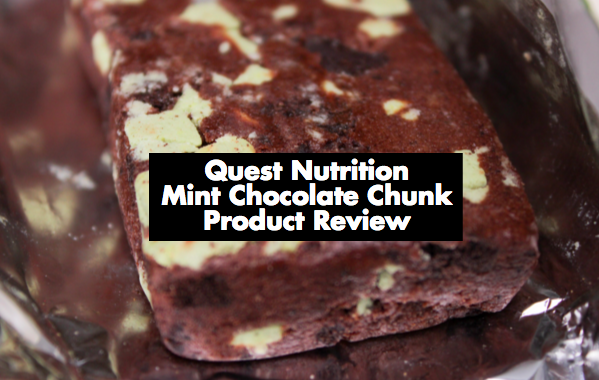 I would definitely recommend to those who like mint chocolate. 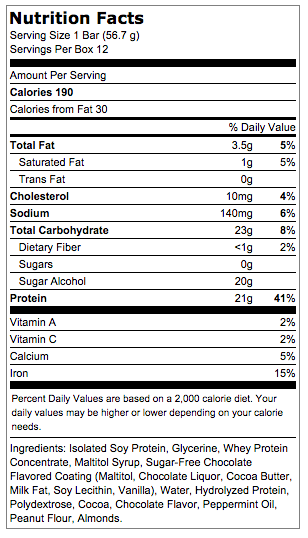 You best believe I already ordered a box of this from iHerb as soon as I got home. *This post contains affiliate links. Product purchased and paid for by Fit Me. I love to lift and eat all the things.